Do you want your children to be active in the upcoming holidays? Well, if they are a Junior Huddersfield Town Season Card holder then they could attend a football session for FREE! This exclusive offer allows young Huddersfield Town fans to get out the house and to play football during the upcoming holidays – with no cost to the parents! Seem too good to be true? It’s not! Season Card holders who are aged between five – 13 years old can take advantage of this exclusive offer that allows them to a FREE half-day Tomorrow’s Terriers football session. Tomorrow’s Terriers is a football development program ran by the Town Foundation and partners Kirklees Active Leisure. 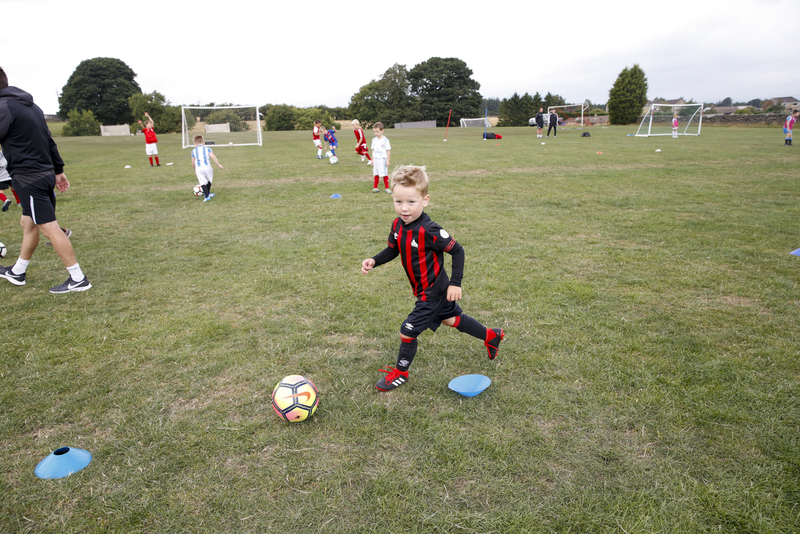 As well as weekly development sessions, their football holiday camps take place during all school holidays and are run by fully qualified Town Foundation coaches who offer not only the best quality training, but fantastic fun! During the sessions, players will learn new skills through coaching drills, play matches, and, of course, meet fellow young Terriers supporters. If you have purchased a Season Card for your child, then why not book them onto a session during the Easter or Spring Bank Holidays? Sessions will run Monday 15 April – Thursday 18 April, Tuesday 23 April – Friday 26 April or Tuesday 28 May and Friday 31 May. You can choose between the morning session (10am until noon) or the afternoon session (1pm to 3pm). If you wanted them to take part in the full day, then all it would cost is £6 to upgrade! Non-Season Cards holders can still join in with all of the fun at the usual price of £12 per day. You can also arrange early and late drop-offs for your child. If you’re attending the morning session, then you can drop your child off at 9am for just £5 extra. If you want to pick up your child at 5pm following an afternoon session, then you can also do that for £5. All sessions will take place at the Leeds Road Playing Fields, Leeds Road, Huddersfield (HD2 1YY). Participants will need shin pads and suitable footwear (no metal studs/blades), plenty of fluid and clothing that is weather appropriate. “The Tomorrow’s Terriers sessions are a great way for children to get outside and be active during the upcoming holidays. “This is a fantastic chance for Junior Season Card holders to play football with fellow Huddersfield Town supporters and have fun! “We are really passionate as a Club about making sure youngsters stay active, learn and have fun and the Town Foundation’s Tomorrow’s Terriers sessions are perfect for that. To take advantage of the offer, please call 01484 503 764 or email coaches@htafcfoundation.com quoting ‘May Season Card Holder’. There’s limited availability per session, so please book early to avoid disappointment! If you aren’t a Season Card holder, then you can still book onto the Tomorrow’s Terriers sessions! Non-Season Card Holders should call Kirklees Active Leisure on 01484 766 131.